HR Departments Tell Image Data: You’re Hired! Human Resource departments represent one of the most complex and intensive document-generating and -receiving centers in both large and small organizations. First, they are the custodians of an array of physical documents for every employee upon hiring. 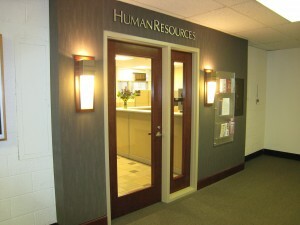 From tax forms, to employment forms, contracts and agreements, sets of employment verification documents, benefits-related documents for health, dental and life insurance, as well as evaluation and termination documents, altogether, these represent merely a subset of the gamut of documents handled by HR departments. A similarly immense challenge with nearly all HR documents is the secure or sensitive nature of the documents handled by the department. Companies must ensure the protection of secure documents from prying eyes within a company as well as from outside, be it corporate hackers that are seeking social security numbers or salary information or an employee seeking unauthorized access to documents. This unique combination of diverse-format documents and highly sensitive content is further complicated by the demands placed on HR groups to periodically supply reporting information which can require that data values associated with documents are extracted as well. Companies have many options to manage their HR document challenges. A paper-only environment persists in many companies, even larger organizations. But, with the liability and exposure, along with the increasingly daunting workflows associated with HR document processing, it’s clear that a better more efficient way is needed. Many HR organizations are turning to Image Data to chart a modern, more efficient and secure way forward in document management. And, that way forward takes into account archives of existing documents. Whether done on-site or at our facilities, Image Data can transform existing documents in a wide range of sizes and formats into web-accessible and fully searchable documents online. Working with advanced scanning technology to ensure both quality and speed, Image Data’s quality-driven project management ensures that compromises aren’t made along the way. Our thorough analysis of your document usage, creation and storage trends defines is used to develop a roadmap that is both cost-effective and future-friendly. And that pertains to security of sensitive documents as well. In addition to providing a secure processing facility for documents needing conversion, Image Data also implements secure access using today’s industry-standard security protocols. For organizations that need to access documents within a larger enterprise system like Oracle or SAP, Image Data will work with you to implement stable and reliable access for rapid queries and retrieval. ​Albany International Corp. is a global advanced textiles and materials processing company with two core businesses, Machine Clothing and Albany Engineered Composites. The company has locations worldwide with headquarters in Albany, NY and Rochester, NH. As a rapidly growing supplier of highly engineered composite parts for the aerospace industry, the Albany International needed a high-tech solution to manage their HR document challenges that matched the high-tech products they offered their customers. –>Is your HR department drowning in paperwork? Was there a lack of a cohesive document management strategy earlier on that is now obstructing progress in effectively implementing a modern approach document management? Was your idea of document imaging simply “buying a scanner and just scanning everything”? Talk to Image Data today. We’re experts at evaluating your unique challenges and providing a solution tailored to your requirements. Join our many clients in human resources who have said “You’re Hired!” to Image Data.